Why Do You Need a Will? 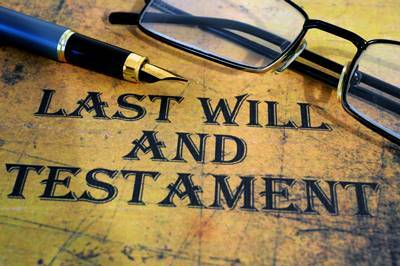 A will is essentially a document that gives instructions about how your estate should be divided upon your death. When individuals or couples do not have a will, the estate is divided in accordance with the provisions of the Succession Act. Have you recently married? A will is automatically revoked by marriage unless it was made in contemplation of the marriage. If you are about to be married or have recently been married we can advise you on your options and assist you in creating or updating your will. Probate Dealing with a death in the family is not an easy matter being both emotionally and financially demanding. We offer a comprehensive probate and administration of estate services. Our services are designed to deal with the practical considerations arising on a death in a family which allows the family time and space to deal with the emotional considerations. LIKE WHAT YOU SEE? PLEASE CONTACT US TO MAKE AN APPOINTMENT.